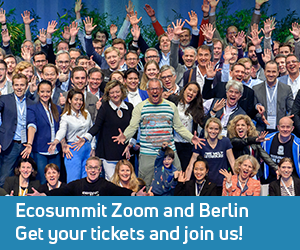 This year we bring Ecosummit for the first time to Amsterdam because we like the city and believe it is a good business idea. During the last few months we worked very hard to make it happen and digged deep into the Dutch smart green innovation community. We got a lot of positive response from old and new Ecosummit friends and also sent a few one-way emails into the local internet whose inbox owners don’t value our European startup platform as much as we do – not yet. 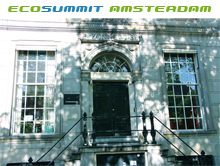 This is going to change next week when Ecosummit rocks Amsterdam on 7 July at Rockstart, the famous Dutch startup accelerator founded in 2011 by the serial entrepreneur and Yoga enthusiast Oscar Kneppers and a few of his business buddies. Since 2014, Rockstart is an Ecosummit partner that showcases their smart energy portfolio every year on stage and Ecosummit TV. In March 2016, the lottery-funded impact VC DOEN Foundation invested in Rockstart because both organisations share the same vision that entrepreneurs are able to solve the big problems of our planet, society and economy.